A Philosophy and English degree at Southampton provides you with an excellent education in literature, theory and critical thinking. There are opportunities for field research, creative writing, as well as work experience in local schools. We are committed to providing a rich, rigorous, and above all enjoyable experience ensuring that you graduate as a confident, curious and independent self-starter equipped with the skills for a successful career. Stimulate your mind and prove yourself as an innovative thinker with a joint degree in English and Philosophy. Designed to provide graduates with enhanced employability, this course provides the opportunity for students to take a year studying abroad at an institution in Europe, Asia, Australasia, or North America. Ideal for those who want to learn, write, make friends, see the world and understand the theoretical concepts of some of the greatest thinkers of all time. This flexible programme allows you to design your own path of study by choosing from a wide and varied selection of modules ranging from Nietzsche to The Philosophy of Religion, from Romanticism to Creative Writing. We also offer the chance to explore topics in other subject areas, whether in the Humanities, the Social Sciences, or the Sciences, which will both broaden and deepen your knowledge and understanding. You will also have the opportunity to spend a semester, a year or a summer at one of our international partner universities in Asia, Europe, and the Americas to experience a new culture. Over each year you take eight modules, or the equivalent, four in each semester, with a minimum of three modules in each subject including the compulsory modules. In your final year you will consolidate your knowledge and skills as a philosopher and researcher in literary studies by completing a dissertation on a topic of your choice in either of your main subjects. AAB to ABB including English Literature (or a related subject*). Applicants taking the Extended Project Qualification (EPQ) will also be made an alternative offer one grade below the standard offer, conditional on an A grade in the EPQ. International Baccalaureate 34 to 32 points with 17 to 16 at Higher Level, including 6 in Higher Level English Literature or a related subject*. *A related subject includes History, English Language and Literature, English Language, or Drama and Theatre Studies. We may interview students without a Literature component due to the literary emphasis of our degree programmes. A typical contextual offer is ABB to BBB from three A levels including a Grade A or B in English Literature or a related subject* or an equivalent standard in other qualifications approved by the University. Students must take either PHIL3013 or ENGL3016. Printing and copying Where possible, coursework such as essays; projects; dissertations is likely to be submitted on line. However, there are some items where it is not possible to submit on line and students will be asked to provide a printed copy. The University printing costs are currently: A4 - 5p per side (black and white) or 25p per side (colour) A3 - 10p per side (black and white) or 50p per side (colour) Please Note: Paper sizes not recognised by the printing devices will prompt you to select the size and then charge a minimum of 50p per black and white copy and a maximum of £1 per colour copy. You can pay for your printing by using the money loaders or by using print copy payment service by going to https://www.southampton.ac.uk/isolutions/students/printing-for-students.page Please remember that we are unable to refund any credit that has not been used by the end of your course, so please consider this when topping up your printing/copy account. The University Print Centre also offers a printing and copying service as well as a dissertation/binding service. Studying English and Philosophy at Southampton will help you acquire high-level critical thinking and communication skills that are essential to navigate your career. Our English and Philosophy graduates have progressed to careers in journalism, publishing, financial services, management and administration, teaching, the media, law, creative writing, and many other areas. These are all skills that are valued not just by us but by employers. As a student rep you might also take an active role in the governance of the department, of a student society, or of the Students' Union. English and Philosophy also offers some opportunities for direct work experience. An English and Philosophy degree at Southampton provides you with an excellent education in literature, theory and critical thinking. There are opportunities for field research, creative writing, as well as work experience in local schools. We are committed to providing a rich, rigorous, and above all enjoyable experience ensuring that you graduate as a confident, curious and independent self-starter equipped with the skills for a successful career. 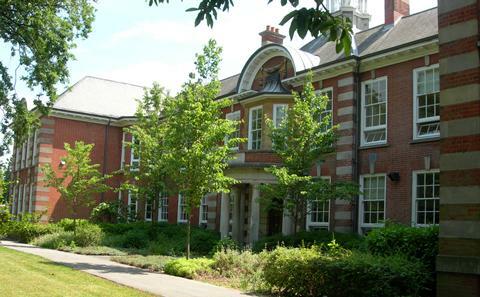 Our teaching draws upon the cutting-edge research of Southampton's academics, all of whom are actively engaged in presenting and publishing their work in English and Philosophy to international audiences. We also offer talks by visiting speakers from international universities and by successful professionals, internships and writing workshops at the nationally-renowned Nuffield Theatre, placements in schools and colleges as part of your degree and specialist online learning resources supporting every module.